These CAN bus adapters may be controlled from virtually everywhere. The network protocol used is TCP/IP, so these adapters may communicate via Ethernet/WLAN, Intranet or Internet. They also provide the option for bridging, i.e. each device can connect to another NetCAN adapter. This way the network is tunneled, and two separated CAN bus lines get virtually connected. Direct control of CAN Bus by a PC is available as well, application software uses the VSCAN library to get access and control to the adapters. 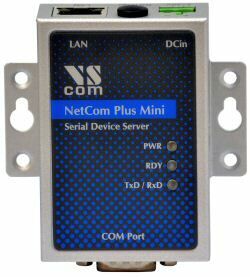 The new models of NetCAN Plus are the follow-up hardware of the NET-CAN devices. 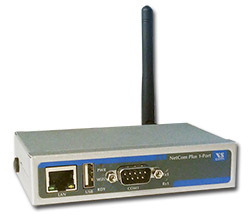 The NetCAN Plus 120 WLAN is essentially the NetCAN Plus 110 with an internal WLAN module. The NetCAN Plus also provide an option for secure Remote Access via Internet. This option uses the system of viaVPN for simple installation and easy usage. Instead of a multi-step configuration of OpenVPN and on PCs using that software, viaVPN provides for a short-step Client Utility and Cloud Servers to allow Firewall-friendly operation with minimum configuration. By that the remote access provides for monitoring of the operation, possible re-configuration and also the use of the VSCAN library. All the trademarks and brands are property of their rightful owners.